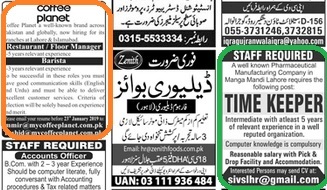 Advertise in Jang newspaper Pakistan by booking ad through Paperpk.com. 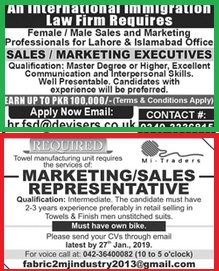 Jangclassified ad booking online in Lahore , Karachi , Islamabad and all over Pakistan online so you dont need to contact newspaper or booking agent . 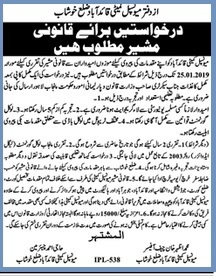 We deal in all type of daily Jang classifieds bookings in Rawalpindi , islamabad , Lahore , Karachi , Multan, Peshawar and Quetta and are providind the services of booking agent by posting your ads in daily and Sunday newspaper classified section. 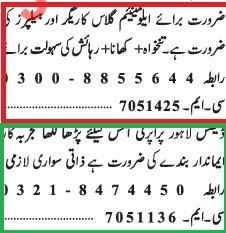 Rates of advertising in jang on ad booking in Karachi , Islamabad , rawalpindi, Lahore quetta and Multan in daily Jang newspaper varries from different editions and different days and different secions like classified or other. .
Sunday classified ads will be charged extra and be booked in advance atleast 3 days in advance (Till 4PM Thusday).